The vinegar in the marinade tenderizes the pork chops, while the other ingredients offer and sweet yet savory flavor to these grilled pork chops. Mix together soy sauce, vinegar, orange juice, sage, salt, black pepper garlic, onion, rosemary, and barbecue sauce in mixing bowl. Place chops in a large resealable plastic bag, pour in marinade and seal. Place in refrigerator for 6 to 8 hours, or overnight. 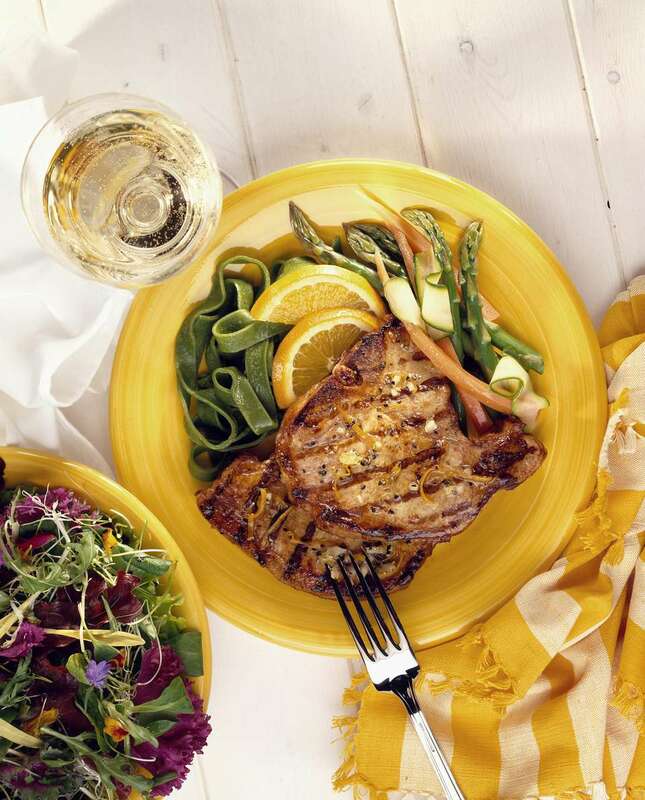 Remove pork chops from bag, reserving marinade, and set on a large plate or cutting board. Pour marinade into a small saucepan. Bring contents to a boil, reduce heat to medium-low and let simmer for 4 to 5 minutes. Transfer chops to grill and cook for 12 to 14 minutes, turning a few times. Brush marinade over chops toward the last 5 to 6 of cooking. Once chops have reached an internal temperature of 145 F and above, remove from heat, let rest for 5 minutes and serve with your favorite sides.